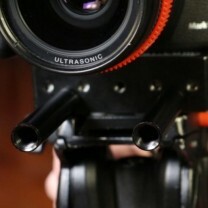 Tom Dowler is a wedding filmmaker working out of Boston, shooting primarily with DSLRs. He was frustrated with the available options for mounting accessories to his camera, finding them either too expensive or too unwieldy for the run-and-gun wedding and live event shooting conditions he usually works in. So he took matters into his own hands and developed the Multiplate, a brutally simple but effective solution for the problems he was facing in the field everyday. 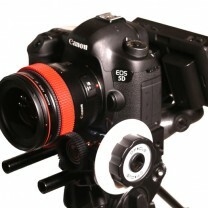 The result is something that he says is “small enough to leave on his camera” permanently but provides sensible options for mounting external monitors or hard drive recorders, and allows him to quickly add 15mm rails for a follow focus or matte box – something that otherwise required a dedicated baseplate setup that was too cumbersome to leave in place when shooting with stripped down options. It features 24 1/4″-20 mounting points around all four sides of the unit, letting users mount their accessories exactly where they need them. Having tested the unit at close to 50 weddings, and dozens of corporate shoots over the course of a year, Dowler is now bringing the Multiplate to market via crowdsourcing platform Kickstarter. 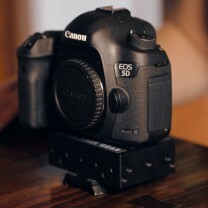 Determined to keep the Multiplate affordable for the average shooter, he has priced it at $125 shipped, with an extra discount for the first 20 people to pledge their support to the project. The Multiplate is 100% made in the USA from billet aluminum and will start shipping during June 2013. 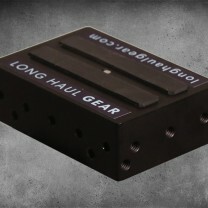 The Kickstarter runs until May 17th, after which Dowler hopes to continue sales of the Multiplate via longhaulgear.com.